In recent years, bed bugs have become increasingly prevalent in the Richmond region. These types of insects are considered to be incredibly difficult to control because of the fact that they hide in locations that are not easily accessible. 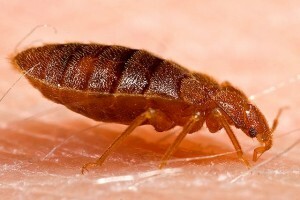 Furthermore, today’s populations of bed bugs are considered to be exceptionally resistant to the insecticides that have been commonly used for control purposes. Due to the difficult in accessing these pests and the low level of success in insecticide use, pest control specialists have been consistently searching for a novel, yet productive, way to eliminate bed bugs within homes and other structures. All Pest Exterminating in Wayne County is now harnessing the power of heat to wage war against the increasingly challenging bed bug infestations that are now commonly occurring in the area. According to numerous studies, heat is highly effective in combatting bed bug infestations. There are several different techniques that may be used in order to kill bed bugs with heat. In some instances, heated steam may be used to treat in base boards, furniture, and carpet. There are portable drying units that may be used to eliminate bed bugs that find their way into common household items. Large drying units may be used on large furniture pieces and there are professional heating units that have the unique capability of treating an entire room of a home, or an entire structure. All Pest Exterminating will be using the professional systems that increase the temperature of the entire home for at least one hour. Not only will this eliminate the adult bed bugs, it will also eliminate bed bugs in earlier stages of life. The pest control professionals will spread specially-designed flex duct throughout the homes that they treat and will then turn on the system to pump the heated air throughout the structure. In most instances, the temperatures emitted will exceed 200°F. Items located in the home that have the capability of melting, burning, or exploding will need to be removed prior to treatment; however, this is the only challenge posed by this professional pest control technique. This is one of the most thorough bed bugs treatments currently in existence today. If you want to rid your home of bed bugs once and for all, this is the one method that is absolutely guaranteed to work!